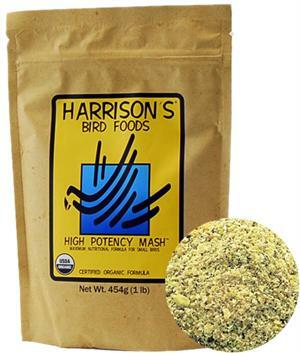 Harrison's High Potency Mash is a maximum nutritional formula for canaries, finches, budgies, cockatiels lovebirds and other small birds. Feed the High Potency formula for a period of at least 6 months. Feed Harrison’s High Potency Mash free choice, table below is only a guideline.